Before the month is out golfers will pour into the World’s Largest 19th Hole in Myrtle Beach. 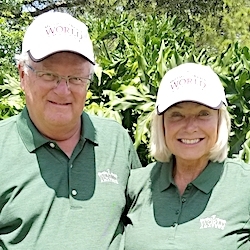 The entry number is already over 2,900 from 25 countries, but there’s still room for more in the 33rd annual Myrtle Beach World Amateur Handicap Championship. 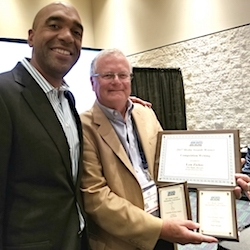 The deadline to enter the event, labeled “Every Man’s Major,’’ is Aug. 6 and the competition runs from Aug. 29 to Sept. 2. 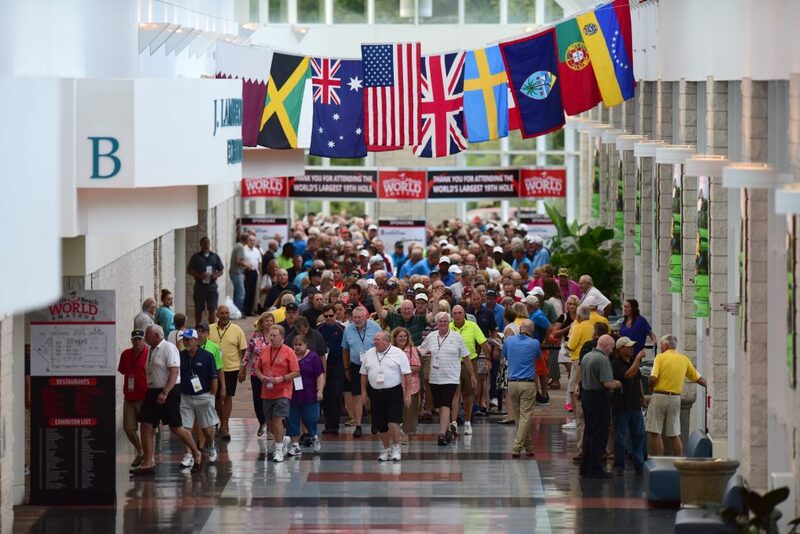 Nearly 60 of Myrtle Beach’s best courses participate in the event, which includes four rounds of golf, a gift bag and nightly entry into the World’s Largest 19th Hole – which features free food and drinks, live entertainment, a golf expo and other attractions at the Myrtle Beach Convention Center. 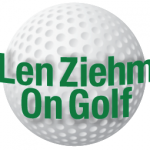 Golfers are assigned flights based on gender, age and handicap. At the conclusion of four rounds all flight winners and ties advance to the 18-hole championship playoff where the overall champion is crowned. Players with handicaps as low as three and as high as 34 have won the overall title. The Ocean Course may have been the most historic layout at Hilton Head, S.C., but it is no more. Love Golf Design, founded by U.S. Ryder Cup captain Davis Love III and his brother Mark, have directed a complete reconstruction and recreation of the first course built on Hilton Head. It’ll be known as Atlantic Dunes when it opens for play in October. 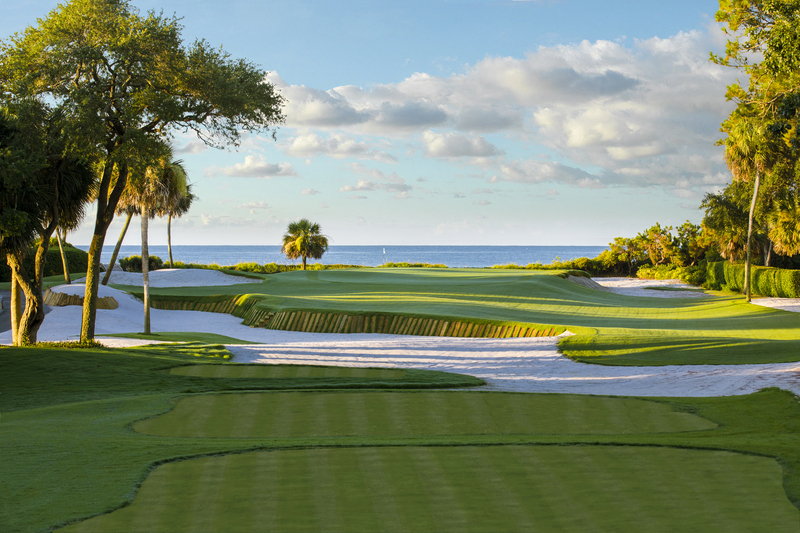 Atlantic Dunes will feature a pronounced seaside ambience accented by coquina shells and seaside grasses. The design goal was to incorporate elements of the surrounding beachfront along with the area’s bounty of native pines and oaks lining the fairways. Love and lead architect Scot Sherman entirely rebuilt some holes to accommodate modern shot values. The course will benefit both visually and strategically from restoration of natural sand dunes as well as the creation of new dunes. Tens of thousands of indigenous plants have also been installed in these areas. Gull Lake View has welcomed golfers for over 50 years. Way back in 1963 Darl and Letha Scott built a nine-hole course in Southwest Michigan. Very soon the family-run operation will have its sixth 18-holer. Stoatin Brae – which means Grand Hill in Scottish Gaelic – will be only the second course of the six not designed by members of the Scott family. It’s billed as a departure from the other five that have holes cutting through the trees and hills on the area’s natural rolling land in the town of Richland, near Kalamazoo. Eric Iverson, Don Placek, Brian Schneider and Brian Slawnik – all senior associates for Tom Doak’s Renaissance Golf Design of Traverse City, Mich. — worked with the Scott family on determining the site for Soatin Brae. Doak was not involved in the project. 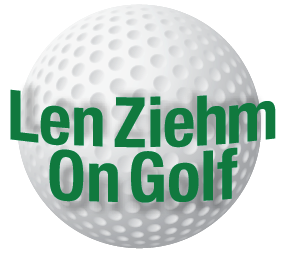 The new course is on a site located atop an open grassy bluff overlooking the Kalamazoo River Valley and there’s one point where golfers scan see 15 flagsticks on a clear day. The course’s restaurant, named Blue Stern after a native grass that is growing on the course, will open at about the same time as the par-71, 6,800-yard layout. Island Resort & Casino in Harris, Mich., has begun construction on its second course. Tony Mancilla, general manager of the resort in Michigan’s Upper Peninsula, said the layout will be called Sage Run. 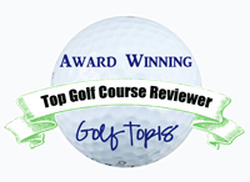 The name references 10 holes that will run significantly downhill on the course. Paul Albanese is the course architect. He also designed Sweetgrass, the resort’s other course that is the site of the Symetra Tour’s Island Resort Championship. Nine fairways of Sage Run will be planted beginning this month and the other nine in the spring. A soft opening is planned for the fall of 2017 and a grand opening in 2018. The passage of time has only made El Campeon a better golf course. 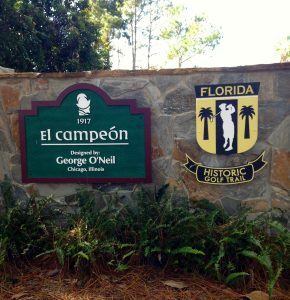 The El Campeon course at Florida’s Mission Inn Resort and Club turns 100 in 2017 but the celebration will start early. The “100th Anniversary Golfers Getaway Package’’ will be offered beginning in October and will run through Jan. 15, 2015. 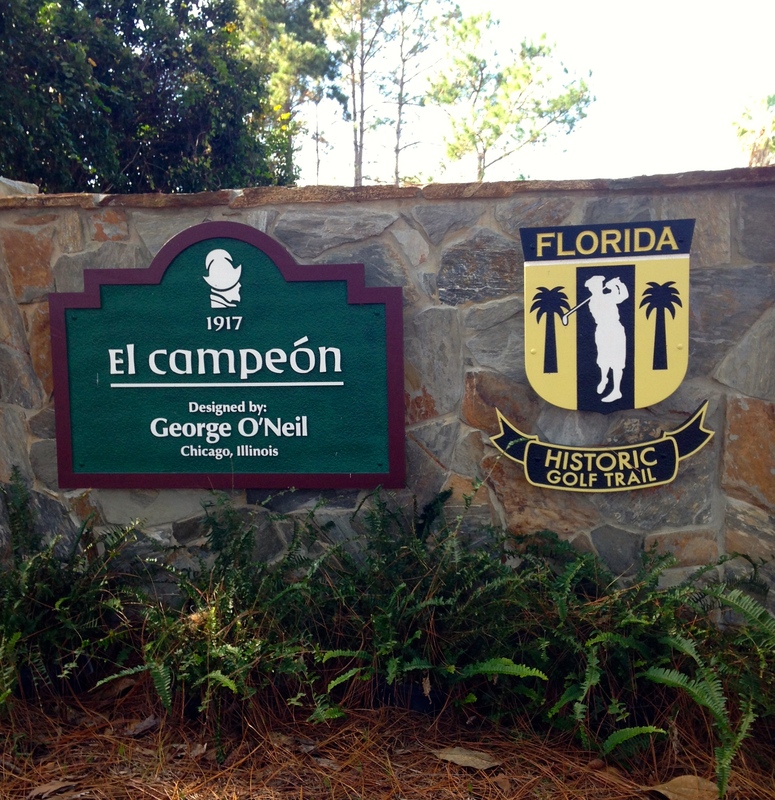 Designed by George O’Neil, a golf professional and architect from Chicago Golf Club, El Campeon was originally known as the Floridian when it opened in Howey-in-the-Hills near Orlando. It was one of the first courses in Florida to feature grass greens rather than the oil-sand greens common a century ago. It was also one of only two courses in the state built to what was then considered the “regulation’’ length of 6,300 yards. 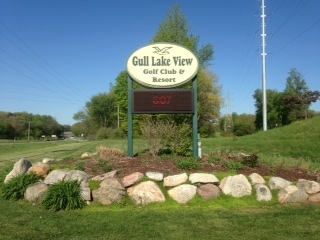 The course took its present name when the Beucher family, transplants from the Chicago area, bought the resort in 1964. The course has 85-foot elevations changes, a rarity for central Florida layouts. The American Junior Golf Association and Reynolds Lake Oconee, in Greensboro, Ga., has announced a five-year partnership on a new championship event – the AJGA Junior All-Star Invitational. It’ll cap a season-long Road to Reynolds sequence of events for players ages 12 to 15 participating in the AJGA’s American College Development Services Series. The event, to be held for the first time in 2017, will have an international field of 96 male and female players determined by the Polo Golf Rankings. They’ll compete over 54 holes. The Rolex Tournament of Champions, an international event for top-ranked boys and girls in the 12-18 age group, will also return to Reynolds Lake Oconee in 2021. French Lick Resort, in southern Indiana, will host the LPGA Legends Championship for the fourth straight year from Aug. 18-21 on its Pete Dye Course. Sandra Haynie and Elaine Crosby will be inducted into the Legends Hall of Fame as part of the tourney activities. The Inn on Woodlake, the boutique hotel for Wisconsin’s Destination Kohler, is expanding. Plans call for the Inn to get a combination of four-bedroom and two-bedroom units along with additional single rooms. The Inn is a popular spot for golfers coming to play Whistling Straits — home to three previous PGA Championships and the Ryder Cup site in 2020 — and/or Blackwolf Run, which has hosted two U.S. Women’s Opens. Oglebay Park, in Wheeling, W. Va., announced that its courses were not affected by the recent floods that devastated the state. Oglebay has two 18-holers – The Speidel Golf Club, designed by Robert Trent Jones Sr. and Arnold Palmer, and the 5,600-yard original course called the Crispin. Pueblo Bonito Pacifica Golf & Spa Resort, in Los Cabos, Mexico, is expanding with the creation of The Towers at Pacifica, three new structures featuring distinct accommodations, enhanced amenities and first-class personalized services. Cobble Beach, in Kemble, Ontario, has announced an “Unlimited Golf’’ special– $99 from Monday-Wednesday, on its Doug Carrick-designed course that has been ranked among the best public courses in Canada. After 4 p.m. the price drops to $69.